I love good books, because they are born from real and personal stories. Where someone doesn't tell me, they invite me. They show me ways to “come alive and start living.” Mara invites us to appreciate and grasp what is already within. And she’s not just a teacher; she’s a guide who walks with us. The book may be an invitation to women perhaps, but after reading the book, I can tell you I definitely want some of what she’s talking about: the permission to live out loud, in our power, in the light, every day. Count me in. It’s down-to-earth. Thank you, Mara. And I agree, the best is yet to come. 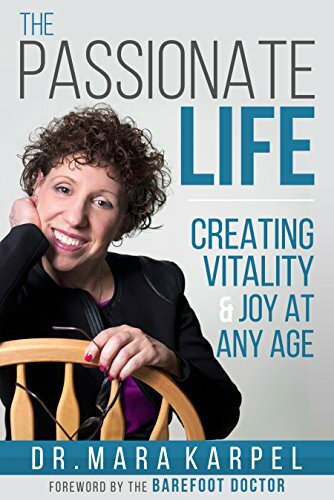 Dr. Mara Karpel is firmly fixed in her "zone of genius" in this amazing book, which is the ultimate road map to energy, inspiration, and purposeful living. Dr. Karpel fearlessly proclaims: out with the old paradigms, in with new! Here is everything one needs to make the golden years truly and radiantly golden!